While MX40 has had another crime-free month (and Festive Season), other nearby suburbs have not been as lucky. Here is a roundup of local criminal activity so you know what to watch out for when you’re commuting. NOTE: Follow-homes from shopping centres are notorious. ALWAYS check your rearview mirror repeatedly! The driver had to take evasive action to escape four armed attackers that followed her into her secure complex. It is believed that she was followed home from a nearby shopping centre. Click here to watch the video footage. Action Point: Check your rearview mirror regularly en route home! Reports state that a family pulled up at the traffic light next to the Shell Garage on Katherine Street at 10.26pm. 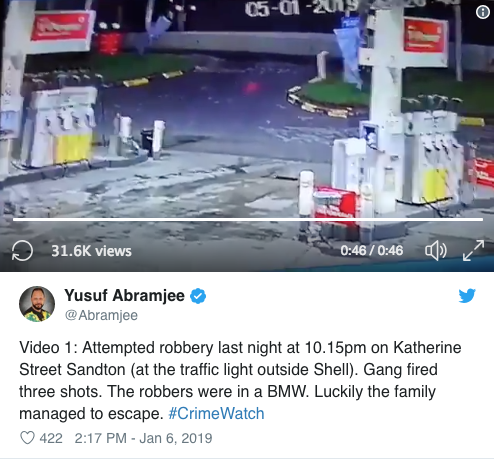 A metallic-grey BMW pulled up next to them and two armed men jumped out and approached the car. 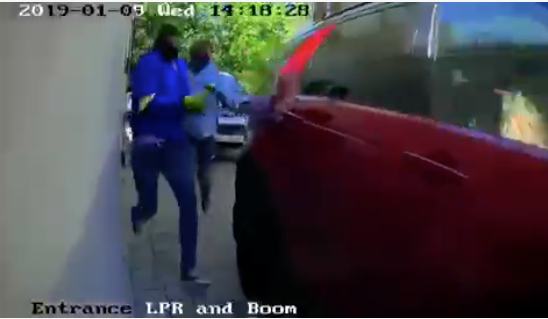 The would-be victim immediately placed his car in reverse and and sped back down the road, as the hijackers opened fire. The hijackers then fled the scene. No-one was hurt in the gunfire. The Evidential Breath Alcotest Machine (EBAT) gives an immediate print out of the driver’s alcohol content without the need for a blood sample. JMPD says this may result in motorists being arrested on site and facing immediate prosecution. Members of the Sandton SAPS Crime Combatting Team (CCT) were on patrol and spotted a suspicious looking black Citi Golf at the corner of 5th Street and Rivonia Road, near Sandton City. They searched the occupants and the vehicle and found them to be in possession of illegal items. 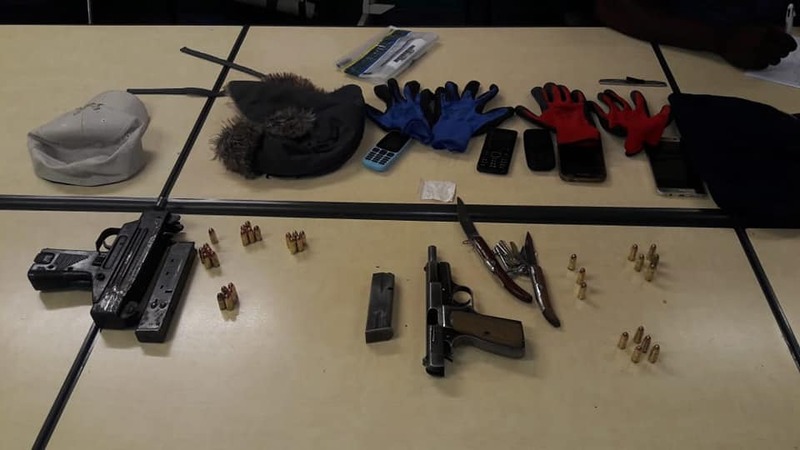 The two occupants of the vehicle were arrested and the following items were recovered: two unlicensed firearms and ammunition, one sachet of powdered cocaine, 2 Okapi knives, 2 balaclavas and 2 pairs of hand gloves were also seized. Great news – well done to the Sandton SAPS Crime Combatting Team! Previous Minister tells Vodacom: ‘Shut up!’ But then shuts up herself.